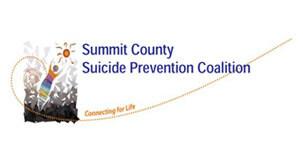 The mission of the Summit County Suicide Prevention Coalition is to reduce the number of deaths by suicide in Summit County especially in the identified high-risk populations such as youth, middle-aged men (ages 25-44) and the elderly. Every year lives are lost to suicide in our community. The Coalition offers free training and consultation for community groups to raise awareness of suicide as a public health issue and to educate the public about how to recognize and respond to someone who needs help. To arrange for an educational program on suicide prevention, contact preventsuicide@admboard.org or call 330-434-1214 x106. The Summit County Suicide Prevention Coalition was established in December of 2005 in an effort to coordinate local resources, increase awareness of suicide as a public health problem, and educate our community to better recognize when someone they know may be suicidal. The Coalition is made up of committed volunteers from all walks of life including professionals in the areas of health care, mental health, addictions, social services, clergy, education, as well as community members, some of whom have survived the loss of a loved one to suicide, who want to help prevent the tragedy of suicide.